You are clueless as to how to spend your day? Why not visit Kornić village on the Island of Krk and celebrate St. James’ festivity with delicious lamb meat and some wine? The St. James’ festivity takes place on the 25th July, and on the Island of Krk the festivity, called Jakovlje, is traditionally celebrated in Kornić. In the morning hours, a solemn Holy Mass is celebrated at the parish church, which is traditionally followed by treats of wine and sweet bread. 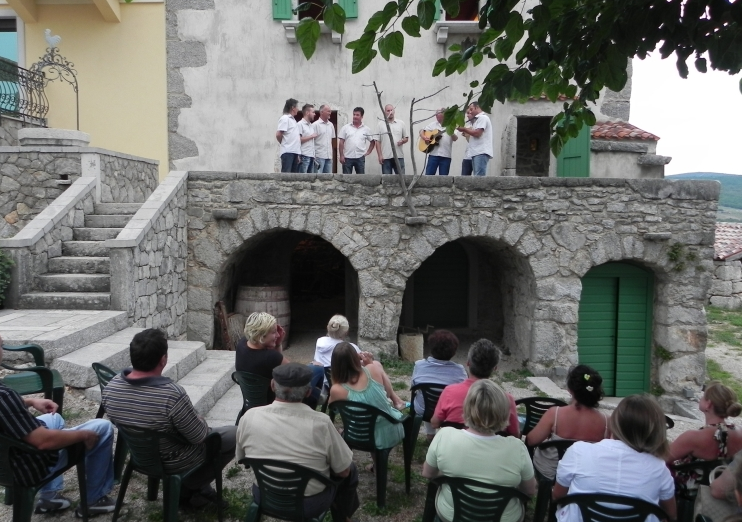 In the evening hours, a traditional celebration with harmony singing groups and obligatory Kornić lamb meat await you.